At LifeBridge we value generosity. We are called to be generous people – generous with our time, skills, spreading the gospel, and with our material and financial resources. 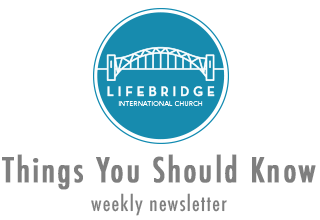 Your contributions help support the ministry of LifeBridge in Panama City. We also believe that giving is an act of worship, whether given via the offering plate or online. You can select “Make this a monthly donation” if you would like this to be reoccurring monthly gift. This will process through PayPal and PayPal will deduct their own processing fee. You can also use your personal bank’s online bill pay service. Your online banking service will make a check payable to IBCM and the account number is LifeBridge. If you are having problems or have question please contact us we are happy to help you.